Dwayne Bravo, former West Indies all-rounder, is impressed with his team's recent performance against England and believes that they will pose a threat to all the teams in the Cricket World Cup, which will be played in May-June this year. "We have some good young players who have been improving and developing well and it is good to see the way the team is doing against England which is the number one ODI side," International Cricket Council quoted Bravo as saying. "I have talked to captain Jason Holder and others and I believe this team will be a threat to all teams in the World Cup which is going to be a very open tournament this time. Anyone can do well on a given day, but I feel confident about the West Indies as we see a good mix of experience and youth," Bravo added. Gayle was adjudged the player of the series for scoring 424 runs in the five-match series. Bravo, who decided to retire from International Cricket last year is happy representing the franchises all over the globe in various T20 competitions. "For me, this is a game I was born to play as a kid, it was my childhood dream to play. I am happy playing it, fans come and pay to watch us and get entertained," Bravo said, adding that he played the game in the right kind of spirit and the way it should be played. 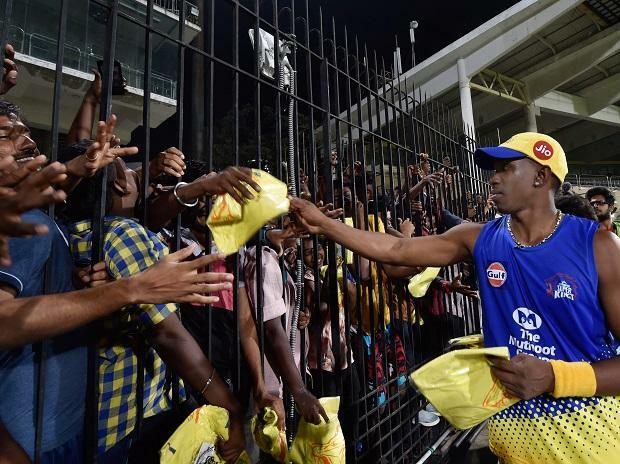 "We need to have fun and that is what DJ Bravo is about, that is what is my brand is about," he emphasised. Bravo is currently playing for Lahore Qalandars in the Pakistan Super League(PSL) and he will next be seen playing for Chennai Super Kings in the Indian Premier League(IPL) which is slated to start from March 23.